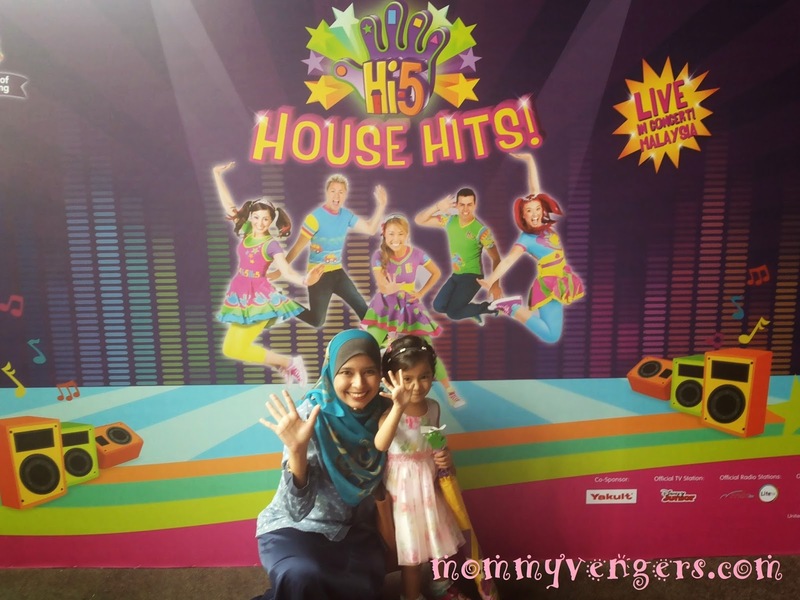 My little girl was so giddy about the Hi5 concert in Malaysia since we bought the tickets couple of months ago. 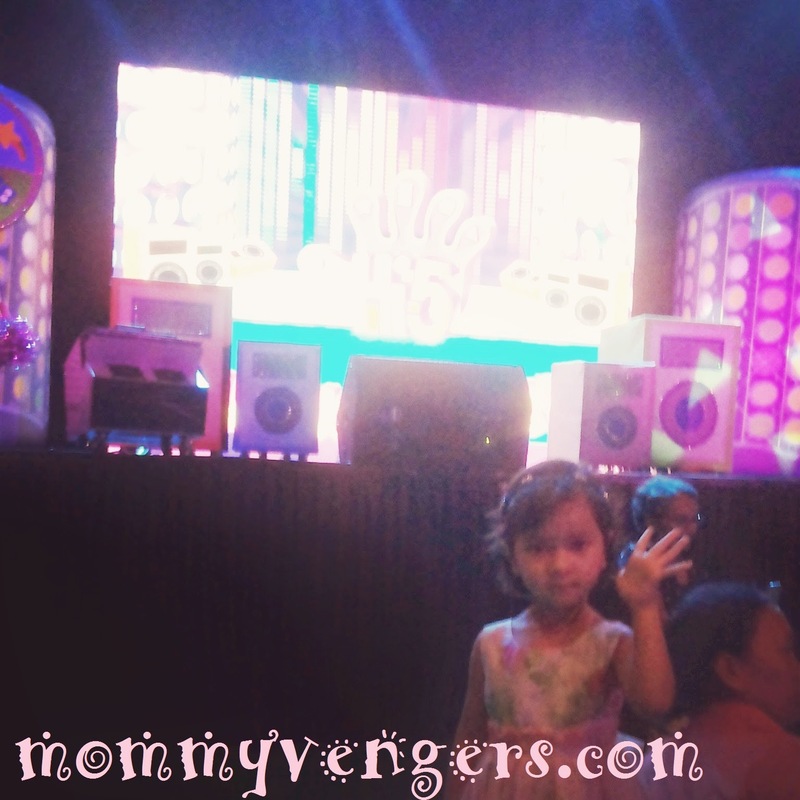 She keep saying she's gonna dance along with the Hi5 songs with her friends in front of the stage. We bought the concert tickets via online at TicketPro.com and the concert is held for one week until before the xmas. One ticket for Aulia' at the Mosh Pit area costs about RM 283 while another two tickets for hubby and myself costs about RM 113 per person. We came a bit earlier than the show at KLPAC after having our lunch at home and we visited the lobby area and bought Hi5 souvenir for Aulia'. 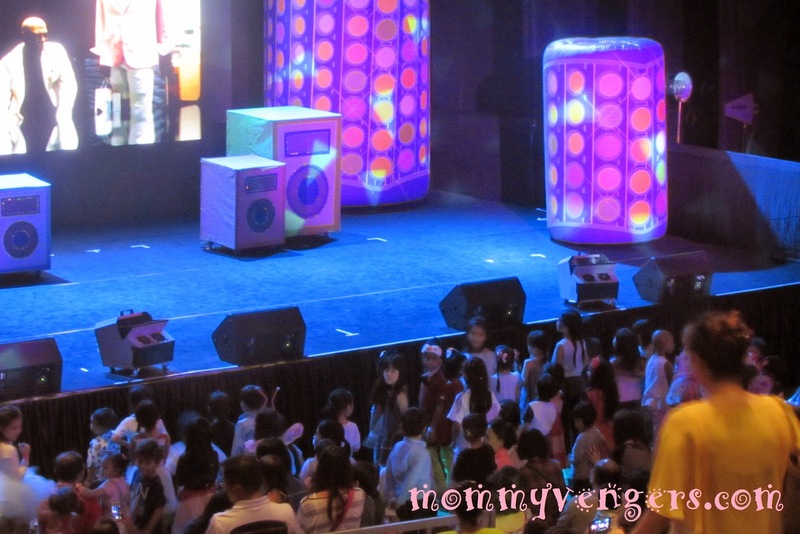 The show started at 2.30 p.m. and as soon as the kids heard the entrance announcement, they all are on their feet ready to rock the concert. Chatterbox or known as "Chats" first appearance and the kids been screaming all the time when it all started including my little one. 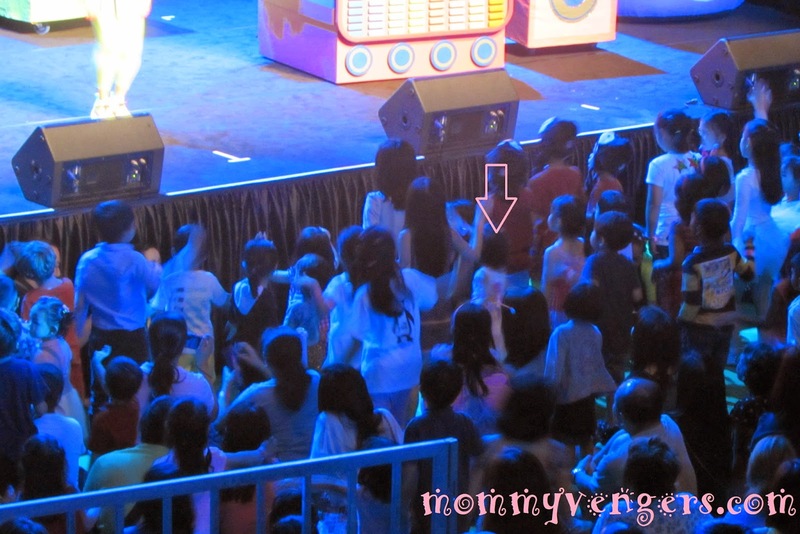 We can see her excitedly jumping around from our seat above the mosh pit. 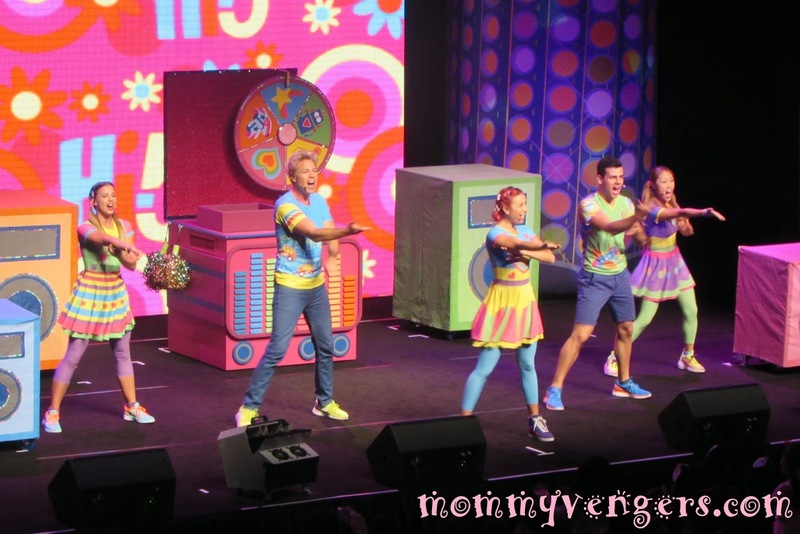 The Hi5 team introducing themself before they start performing. They are Dayen, Ainsley, Stevie, and another two new members. 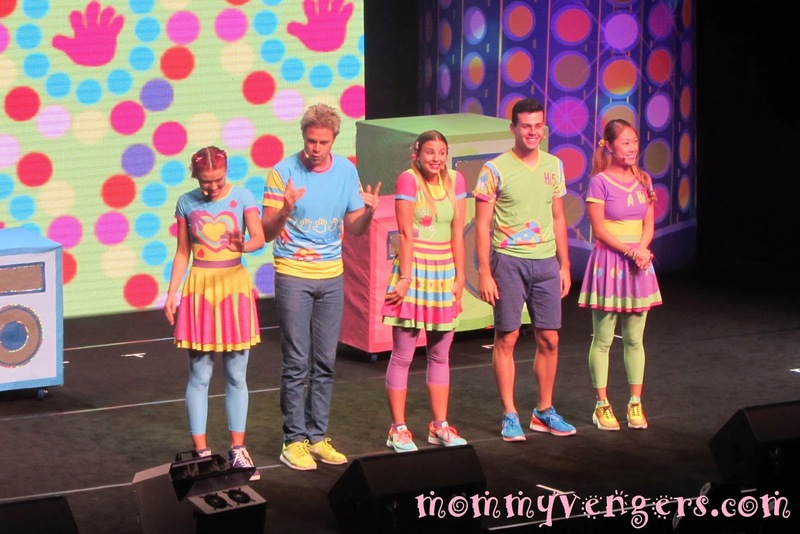 My little girl favourite Hi5 team being Stevie Nicholson. They begin with the spinning game with Chats. Each members have their own preferences about what song they want to sing. They made the kids guess what song they gonna sing and finally they start with the L.O.V.E song. I am pretty sure my lil kid down there is as excited as we do haha. L.O.V.E I love you and you love me. L.O.V.E that's the way it's meant to be. 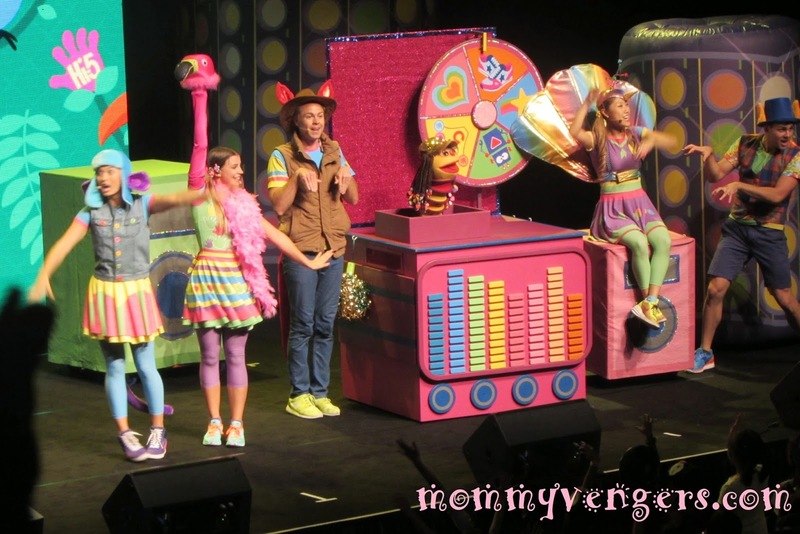 They came out with few big balloons and passed it around the mosh pit and to the upper seats with a lot lots of bubbles making the kids down there went crazy screaming and jumping non-stop. I can see my baby girl also trying to reach the balloons but she was too small to catch it. They played the animals zoo, catching fish in the deep blue sea, wild animals in the jungle, superhero robotic and many more. 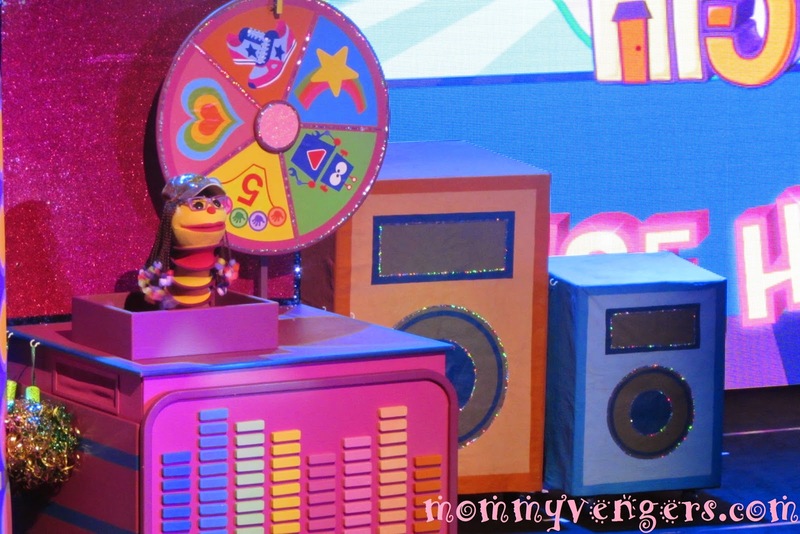 It's a total 30 minutes show before the Hi5 team went for a break. Still, you can see the kids are so energetic from the beginning of the show. I guess my little munchkin has been exhausted from jumping so she insisted me to came down to the mosh pit and sit with her. Some parent took this time to bring their child for diaper change and drinks. Once they back for the show, the kids begin to rock again. There you go my little kid. If you literally can see her down there at the mosh pit. This is the view from the mosh pit. I was like wow! I've been as excited as the kiddos when I saw them dancing.haha.. The show finished one and half hour later and we went again to the merchandise stall since Aulia' really wanted the Hi5 balloon.. this girl really know how to persuade her dad with her cute face tho. She score two! 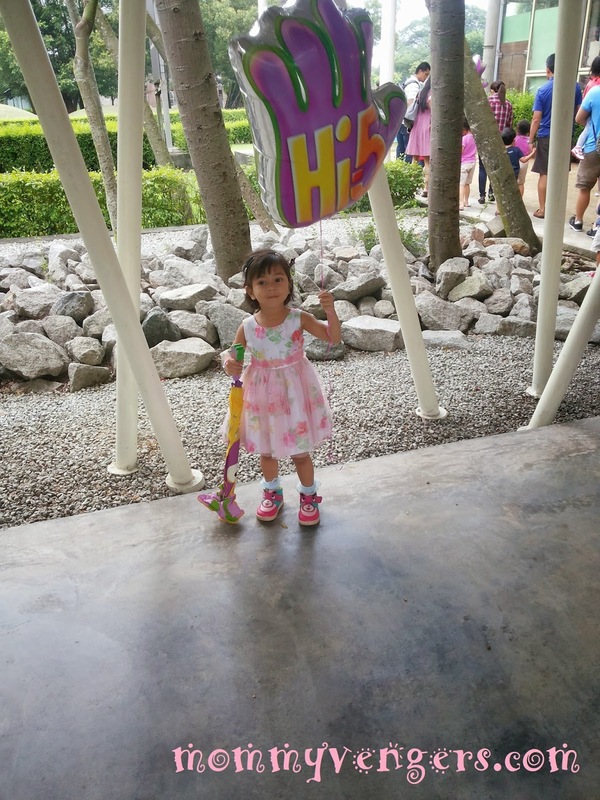 one for the umbrella and one for the balloon.Overall, she enjoyed the show and keep talking about how she singing and dancing during the concert. 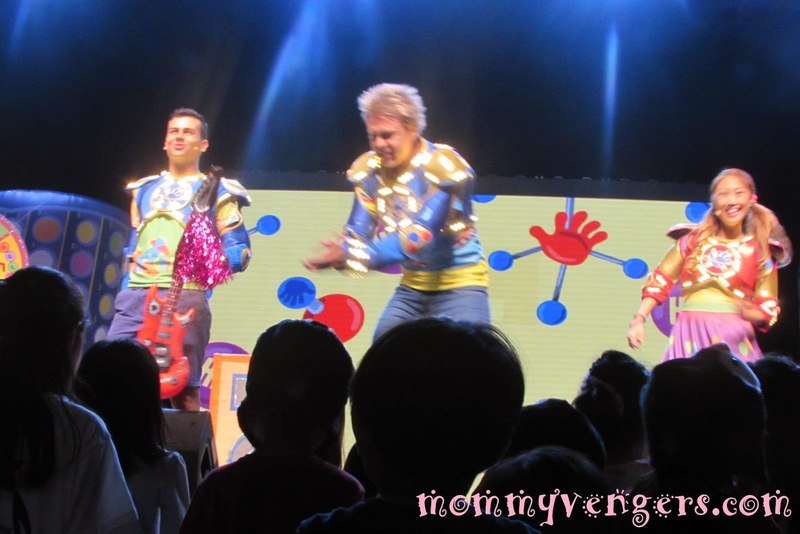 And we are all very satisfied because the show is entertaining and the Hi5 team were very energetic all the time.